More than 100 specialist lectures, workshops, forums, the exhibition, and over 1,600 visitors will be discussing the topics surrounding “Smart Technologies for Lighting Innovations at the 7th leading European Lighting Technology Conference, LpS 2017. The stellar conference program encompasses strategies and markets, engineering and lighting design, testing and applications, and covers the central building blocks of lighting systems from the component or materials right the way through to the application. The design questions concern topics such as reliability, costs and issues around the production of modern lighting systems. The LpS 2017 is primarily aimed at technology experts from industry and research, as well as those who are curious about the latest developments in lighting technology. The integration of light within the world of information technologies is a leading trend in the lighting sector after the introduction of LED/OLED technology. Experts will share their thoughts on the interfaces we engage with every day, the form of the data transmissions, and about the important topic of the connection to the Internet cloud and the related safety-related issues. Global giants Philips and Huawei will give Keynotes that tackle the topic of Connected Lighting from the point of view of industry and urban planning. Also, the topic of LiFi, the data transmission via visible light, plays an important role for indoor-navigation, and also as an Internet access point. The light quality with the dimensions of the spectral distribution, the color rendering and the correct light quantity remain the central requirements of a lighting system. The provision of optimal light for humans, animals and plants is the core function of a lighting system, and is subject to a continuous optimization process. Adaptability and controllability are inevitably one of the key features in order to provide optimal light. The founder of the Lighting Science Group and NASA researcher Fred Maxik, has been working in the field of light for over 25 years. He will deliver his lecture “Transition of Illumination – Lightcentric Humans” which deals with the influence of light on the human eye and brain and establishes the requirements from future lighting systems. The lighting industry continues to develop, these developments require new strategies in order to face the ever-changing market conditions. Lectures by Philips, Zumtobel group, Trilux, Feilo Sylvania, Osram and other lighting industry leaders will address this complex theme. The adoption of LED/OLED lighting continues to gain momentum however; development of the SSL light sources is by no means complete. Quantum-Dots technologies are about to be introduced and are expected to be able to increase efficiency by another 10% – 15%. Manufacturers also develop application-specific products such as Horticultural Lighting and Automotive Lighting applications. Miniaturization as an important design requirement also presents the developers with a challenge. At the LpS 2017 Exhibition and Conference, the most contemporary products, investment goods and services will be presented. From the component to the module, from the measuring instrument to the production machine and from research facilities to the test laboratories, the exhibition offers an insight into the progress of the lighting industry. Leading lighting companies will be showcasing their latest products. 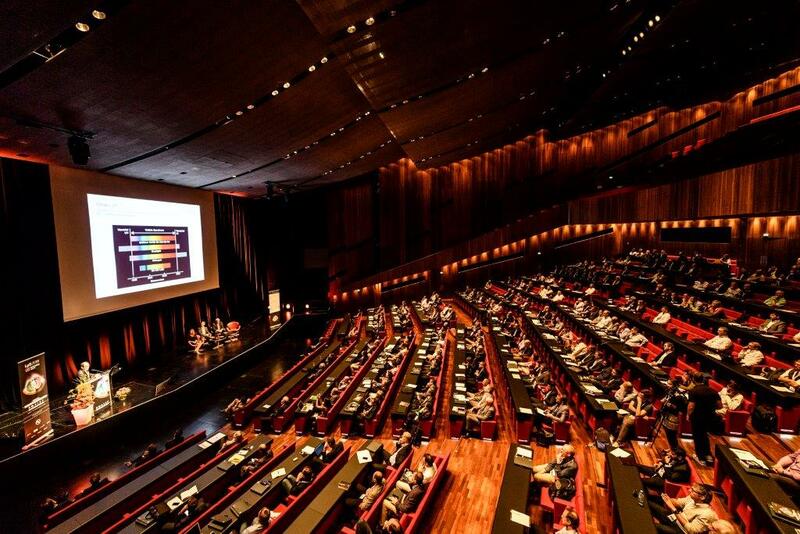 The leading lighting technology conference will take place from 26 to 28 September in Bregenz. Photo and video credits: Luger Research e.U.